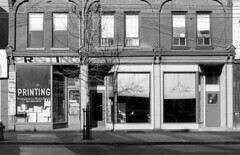 There are a wonderful set of Toronto historic photos available online, here are all the photos that I could find from around the Grange Park area in Toronto, Ontario, Canada. 1882 Demolishing the waterworks tower at St. Georges Reservoir - Dundas St. W., n.e. cor. Huron St.
1890 St. Patrick's Market (1854-1912), Queen St. W., n. side, at St Patrick Sq. 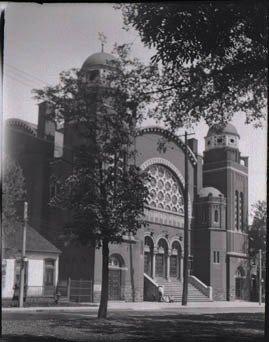 109 years ago - Sunday, December 25, 1910 - Grange Park at 39 Huron Street south of Grange Ave.
1924 Goel Tzedec Synagogue, University Ave., South of Agnes St.